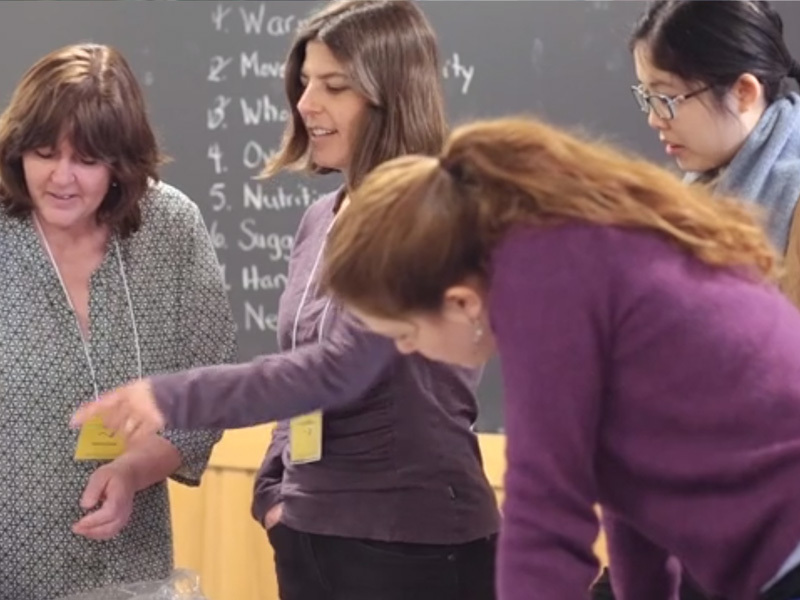 Addison County Relocalization Network hosted a full day farm to school conference at Middlebury College with massive support from their local and statewide community partners. 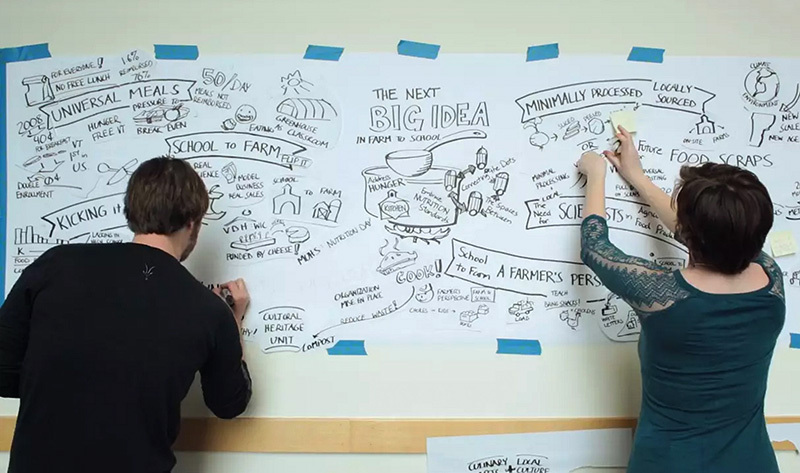 We provided graphic facilitation for a series of TED-style talks that presented the next big ideas for leadership in farm to school. 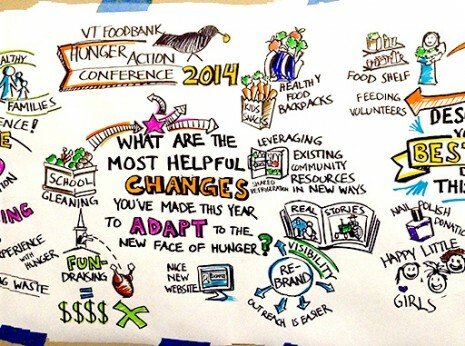 We graphically recorded a fast paced session of eight short talks covering diverse agricultural and educational topics. 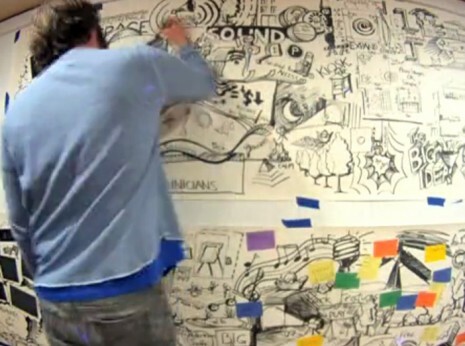 Then while conference participants attended the following workshops we created a large-scale collage that unified the ideas. ACORN staff and Middlebury College faculty got crafty with us, helping to cut, tape and glue the new composition into shape in the short time allotted before the closing reception. 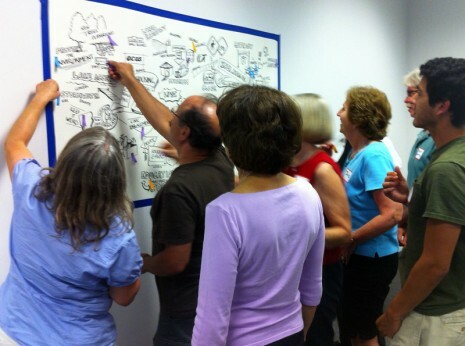 The visualization will be used to help form ACORN’s goals and actions. 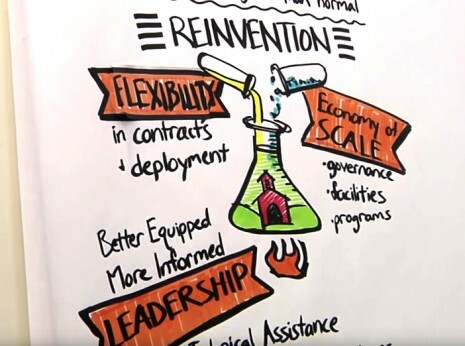 Video by Middlebury College Communications.